Kaleena works closely and passionately with local farms to develop cocktails that highlight the flavors of the region. During this workshop, Kaleena will teach beginner to intermediate techniques on how to turn local produce that can easily be obtained from local farms (be it farmers markets, CSAs, etc.) into a tasty drink. 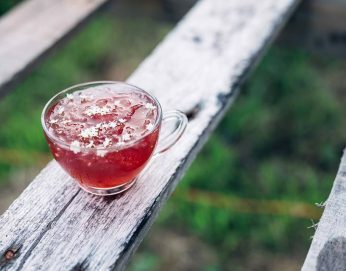 A lot of these techniques can branch into preservation of the flavors and health benefits of plants (turning things into shrubs or syrups, liqueurs, etc.). During this class, several areas of cocktails will be addressed/demonstrated such as cordials, infusions, syrups, and shrubs. Kaleena Goldsworthy was born in Maryland and raised in upstate New York. After suffering through many years of excessive snow, she felt it was time to move to a warmer climate and found herself in Chattanooga only 6 months after visiting it for the first time. The fine folks at Flying Squirrel gave Kaleena her first job behind a bar, and she instantly fell in love with the culture, the history of craft cocktails, and the food and beverage industry. She has had the honor and privilege to travel all over the world to continue her education in this field and has worked alongside many of the industry’s top professionals.